God is faithful in all seasons. The first sign of God’s faithfulness is found in Genesis 6-8. In these three chapters we see how God has had to destroy the world, but saves eight people. Noah, his wife, his sons, and their wives all escape destruction on an ark. Reading the first thing Noah did after the flood reminded me of God’s promises, even in the midst of death and destruction. God shows us His rainbow. God responded with Noah’s worship by reminding him of His faithfulness. Worshiping during the winter seasons feels almost impossible. Many times, standing during Sunday morning worship, my heart will swell with thanksgiving and awe at the love and grace of my Father. In those moments, my heart lifts up its own invisible hands to the Father. It is a soul praise. A praise to God with no words or outward posture. I listen to the words of a song or the beautiful music, letting the goodness of God soak my very being, and my heart rejoices with the glory of God. I’ve also stood up singing on a Sunday morning weighed down with heartache and grief, unable to utter a single word or even read the words on the screen. In those moments, the Holy Spirit slides into the seat next to me and lets me praise God with unspoken words. The Spirit speaks for me, interceding before the Father, voicing the needs I cannot. Praise isn’t about joy. Praise isn’t an emotion or something we have but something we do. Praise is what we lift to the Father in the middle of the coldest seasons of our life. We lift our dry branches, empty and dead. 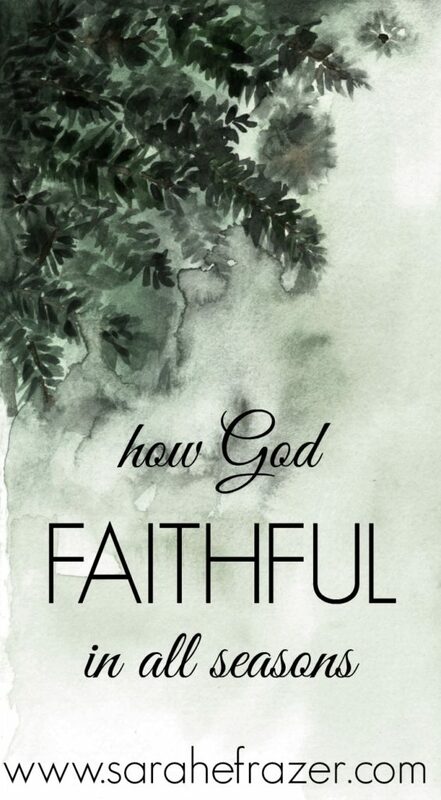 We pray for fruit, but God says, I am still faithful. Praise is an act of the will and a response of the heart. Praise can be the first step toward growth. Look up. Noah looked up and saw the promise: a rainbow. I’m still learning this messy thing of winter praise. I see now I’ve never had it together. My God has allowed the dark, winter season to remind me of His faithfulness, and His light, during even the darkest days of the year. One day at a time, I’m learning to praise Him. Praise Him when my heart just isn’t feeling it. Praise Him when my life feels so out of control. Praise Him for the good. Praise Him for the hard. Praise Him for who He is. As my eyes turn away from my own winter season, I see the fullness of Christ and the steadfast love and daily mercy available to me. The more I praise Him, the more I see Him. The more I see Him, the more I see His faithfulness. As we enter this holiday season, I want to take some time to see God more clearly. So I’ve created these advent printables. 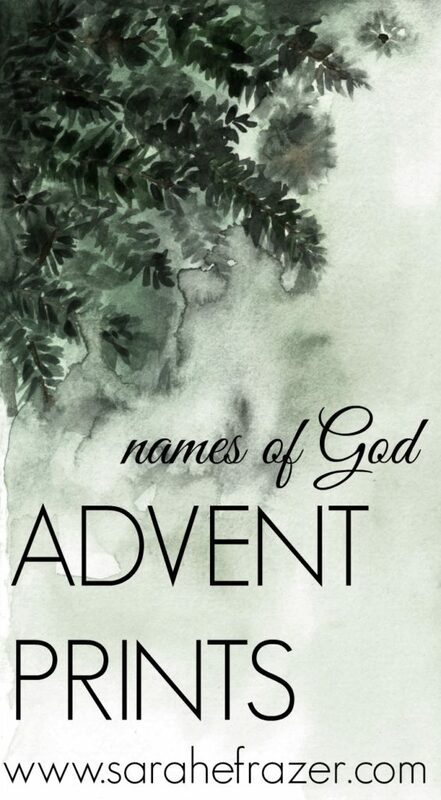 They are verses focusing on the names for God – designed especially for you. They aren’t necessarily “Christmas-y” so you can use them through the winter months! They are only on sale (regularly $10) for a few weeks!